One of the major drivers of out-of-home tea consumption is the specialty tea beverage. 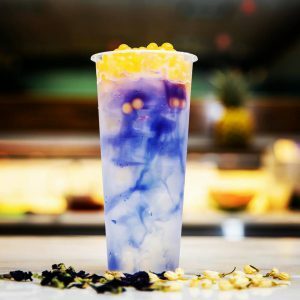 From the more familiar chai and green tea frappe to newer ingredients and drink combinations, these drinks offer the opportunity to use teas to create a wide diversity of popular drinks. 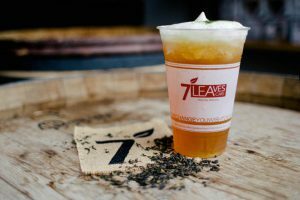 Firsd Tea surveyed some of the more innovative and beautifully crafted tea drinks currently available from across North America. Here you’ll find some impressive iced drinks- no surprise as over 85% of all tea consumed in the US is iced tea. Coffee and tea shops will find plenty of inspiration here for their signature specialty tea innovation. That beautiful blue/purple color comes from the butterfly pea flower, the same flower used in Firsd Tea’s Amethyst Butterfly, Emerald Green, and Sapphire Blue. Jasmine green tea provides a welcome floral fragrance and golden pearls add the finishing pop of color. Another best seller made with jasmine green tea. 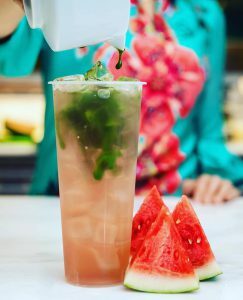 Topping teas with a frothy cheese has become trendy in Asia, and this iced tea draws on that tradition with a whipped “sea cream” to make it light and fluffy as a cloud on a sunny summer day. Another masterpiece by The Green Teahouse. A great use of rich matcha to reflect the colors and cooling feelings of watermelon. Sorry US fans, this one appears to only be available in Canada at the moment. 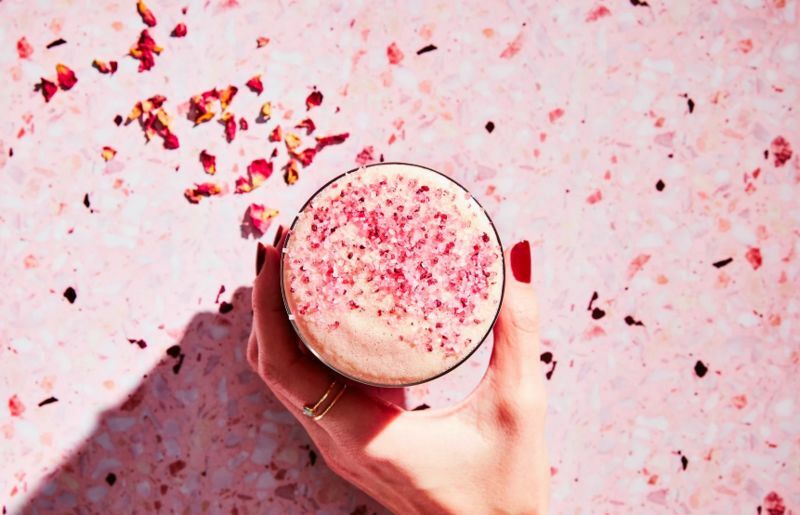 A rose syrup can be added to rooibos, black tea, or matcha to create your preferred version. The foamy top is sprinkled with rose and hibiscus crystals.